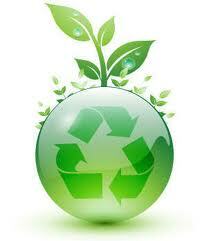 The natural resources of our planet is a scarce resource which should start caring for the good of all. The energy we use every day improves our quality of life, but not an infinite good, and their reasoning goes through avoiding waste for the sake of our pocket and the future of our grandchildren. In homes or jobs spent many hours over the year, and as usual where we spend more energy in the form of heating and air conditioning. So good insulation in those places would help improve our comfort, to save money in the form of electricity and gas bills, and we will preserve the natural resources of our planet. Usually buildings have an air chamber in the outer walls to isolate the temperature outside, and false ceilings can be incorporated or double walls inside the house with thermal or acoustic insulation inside to greatly improve energy efficiency. But where more energy losses occur in a home or building, is by the doors and windows facing the street. To solve this problem, today we have quality materials that help mitigate these energy losses as the walls are concerned. In the section of the doors and windows, the most important element is glass, since it is generally occupies the largest surface area, and therefore which channels most thermal transmittance profiles unlike that usually only take over the glass surface. A practical example is a calculation of thermal transmittance recently conducted with a window of 1 square meter of a single sheet of glass Guardian Sun, was first tested with a high-end perfileria PVC or aluminum which alone gives conductivity values ​​0.9-W/M2K, second measuring a conventional perfileria 3.5 W/M2K values, the result is a total transmittance, glass + perfileria, of only two-tenths of difference, of 2.1 W/M2K W/M2K 2.3, which means that what really matters in a door or window is the type of glass. As a practical example the manufacturer indicates that there may be a $ 500 annual savings of energy, in a house of 90 m2 to 12 m2 4 winds with doors or windows to the outside, which means that in a few years the investment would be repaid . Guardian Glass Sun is 5 times more efficient than a conventional simple glass makes up only about 20 euros more per square meter. It is also advisable to protect from the summer sun with awnings or blinds. For any query or clarification please contact us, we will respond without any compromise.